Wash and drain ingredients A, marinate with ingredients B overnight in the fridge. Open the lid, turn over the chicken drumstick, continue to roast for 8 minutes. with sesame, then roast for another 5 minutes, that's all. 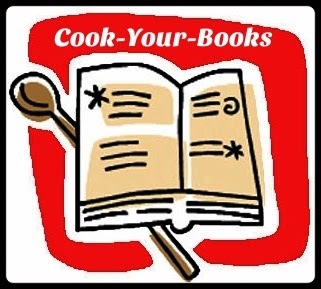 I am also linking this post to Cook-Your-Books #15 organized by Joyce of Kitchen Flavours. Wow, ho chiak. Very tempting. I lost 5 kg, I think I need more of this. If I lost 5kg, that's a good news for me. Are you ok? 这个星期, 我叫我老妈做给我吃, 可是我没有气炸锅, 用烤箱应该也可以吧 ? !! Me too...I have not had my lunch today...had been so busy lately but I must come here to note down my mixed nut mooncake recipe or else I will forget about it. Oh Yum! That chicken looks so delicious! A yummy meal! Your family is so lucky to have cooking this homely meal for them. The chicken drumstick with sesame seeds look so yum!